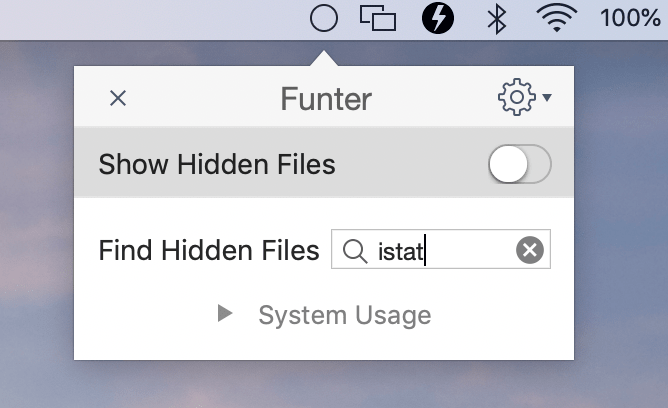 The iStat Menus application is used not only by computer geeks but also by any user who wants to understand why his or her Mac is performing slowly. 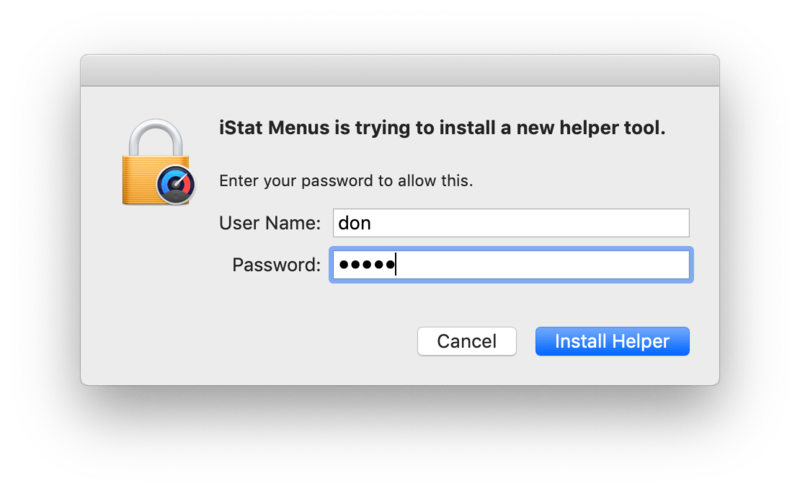 Despite the many advantages of the iStat Menus app, many users have complained that since version 6.0 they have encountered some errors and issues. If the same is true for you, you may find this article very helpful. We will explain how to correctly remove iStat Menus in order to reinstall the previous version, or just get rid of the app completely. How to remove iStat Menus manually. 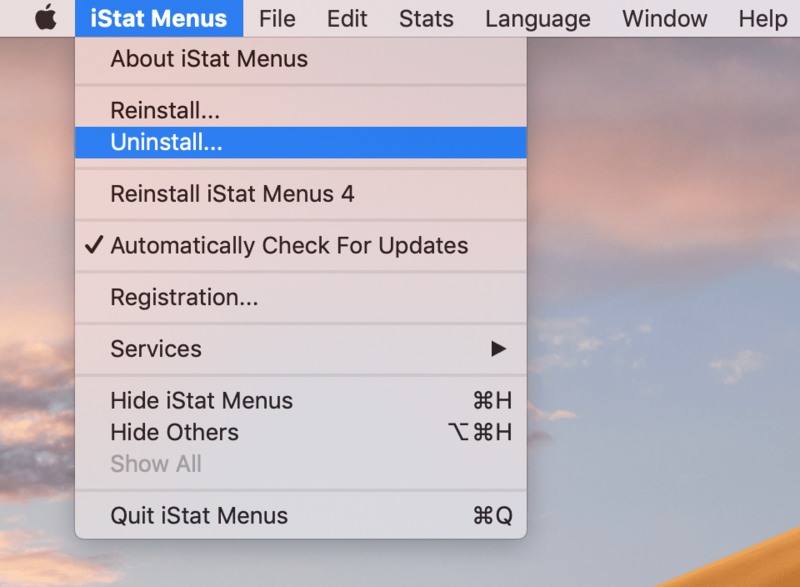 How to remove iStat Menus using an uninstallation tool. In the window that appears, click the Uninstall button. The system will require your confirmation. Enter your user password and click Install Helper. In a moment, the window will be closed and the app will be uninstalled. Now it’s time for the most important steps in the uninstallation process. Generally, we recommend using the free application, Funter, which allows you to find all hidden system files more easily and quickly. To find all the files associated with iStat Menus, simply enter the app’s names in the search field and click Enter. 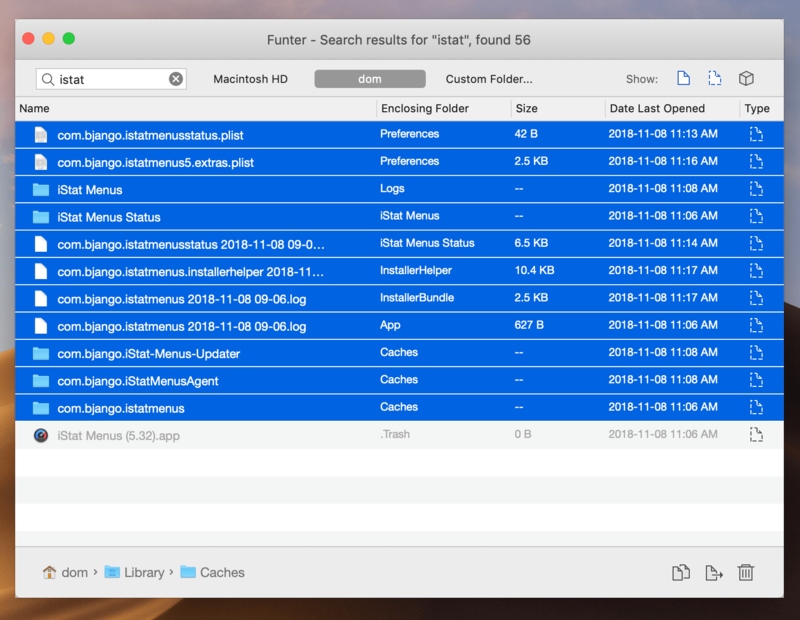 In a few moments, Funter will display a list of all the service files of iStat Menus with their locations. 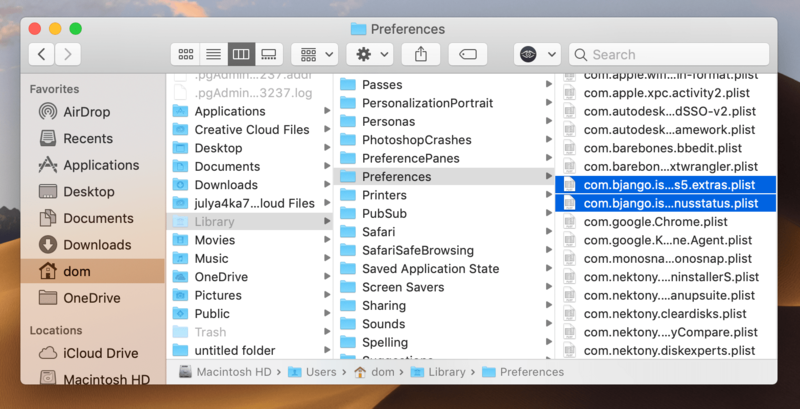 You can open these files in Finder to remove separately or delete them right in Funter using the appropriate button with the Trash icon. However, there is yet another method that is the quickest and easiest. The best way to completely uninstall apps on a Mac is to use special software for this task – App Cleaner & Uninstaller. Read on to learn more about this utility. 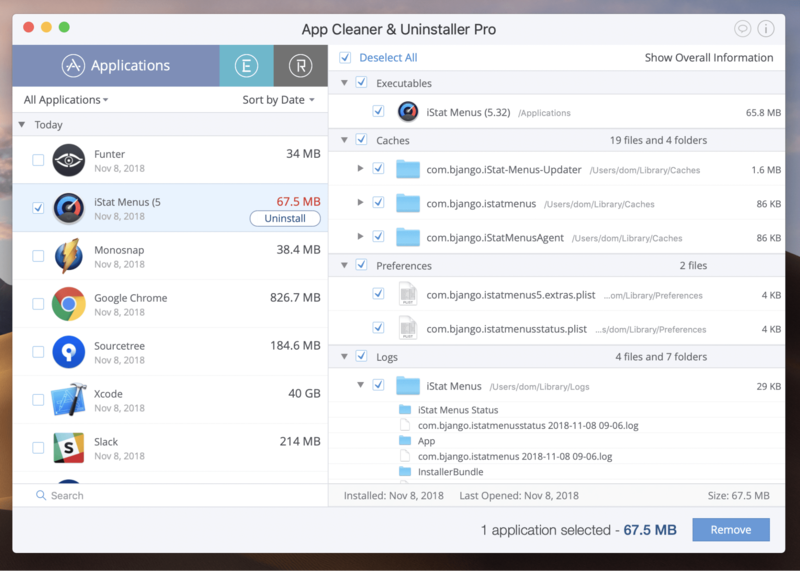 App Cleaner & Uninstaller allows you to remove iStat Menus or any other program with just a few clicks. The best thing about App Cleaner is that it finds absolutely all of the app’s support files. This means that you don’t have to waste your time manually searching for unneeded files. Entrust this task to App Cleaner. 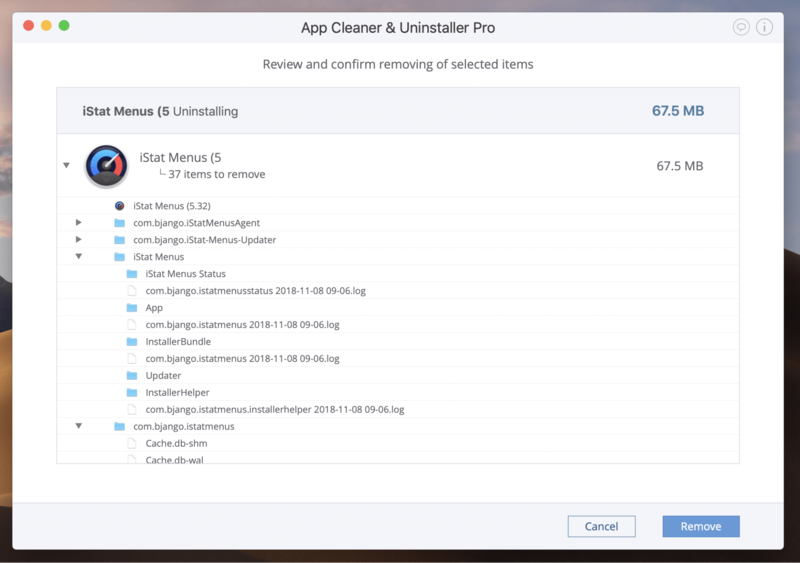 App Cleaner & Uninstaller provides a free trial for seven days. As soon as the scanning of your apps is finished, find and select iStat menus in the left section. In the right section, you will see the list of service files for each app. Click the Uninstall button next to the app’s name. Or if you select several apps, click the Remove button for all of them. Preview once again the list of files you selected and confirm the removal. 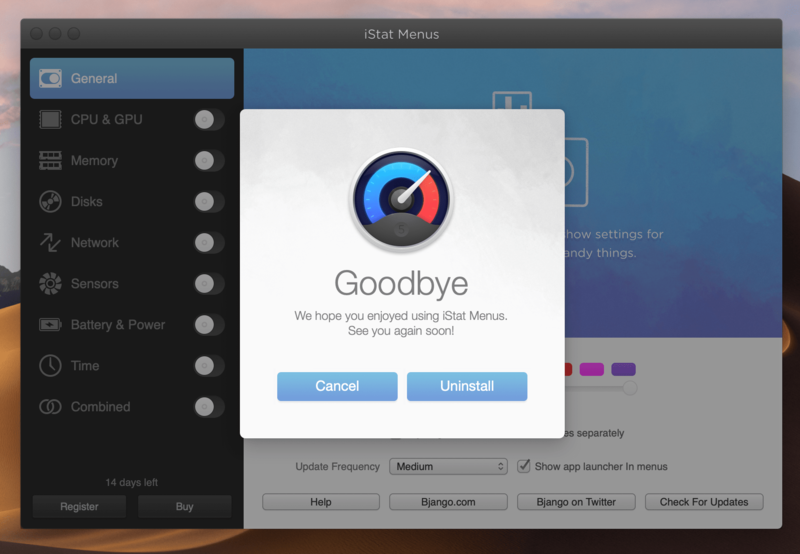 Well, isn’t it much easier to remove iStat Menus with App Cleaner & Uninstaller? So why uninstall apps manually? Use this utility and keep your Mac free of unneeded files. Also, you can learn more about other features of the app, which will help to optimize your Mac’s performance.